The Ultimate Summit Sweepstakes at Mansfield Plumbing is now underway with a chance at prizes for licensed plumbers/contractors every time they purchase one of our high performance Summit toilets. From June 1 – August 31, every time a licensed trade professional purchases any Summit product they can enter to win the chance at a great prize. 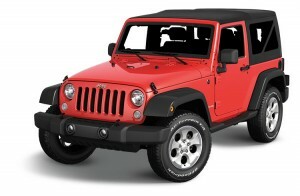 Our sweepstakes grand prize is a 2015 Jeep Wrangler Sport 4×4 … plus we have dozens of other prizes including Weber Genesis Gas Grills, $100 gift certificates to Texas Roadhouse and folding buck knives. Winning is easy. If you’re a licensed plumber or contractor, every time you purchase any of our high-performance Summit toilets, your wholesaler will enter your purchase in the sweepstakes through a special microsite. Ask your Mansfield Plumbing wholesaler for more details and make this a summer of winning!